Huawei’s junior brand, Honor, has pretty much always had a solid lineup of mid-market phones at a good price. Then comes along the Honor V9 and it is nothing short of a powerhouse. The 5.7″ QHD is powered by the Kirin 960 SoC quad-core process running at 2.4GHz, has up to 6GB of RAM and 128GB of storage and will start roughly $435. The V9 is perhaps the most complete, high-end spec phone that Honor has released and hopefully, hopefully we will see it here in the United States at some point. There are three configurations of the Honor V9 but regardless of which one you get, they both come with the Kirin 960 processor and Mali G71 GPU. You can get a 4GB model with 64GB of Storage , a 6GB model with 64GB of Storage, or you can pick up the 6GB and 128GB model. Both come with a MicroSD slot so you can expand the storage up to an additional 128GB. So if you picked up the top-of-the-line model and added a 128GB card for roughly $40, you would have a 256GB phone for around $550. That is a steal. has Bluetooth 4.2, NFC for Android Pay and an impressive 4000mAh battery. 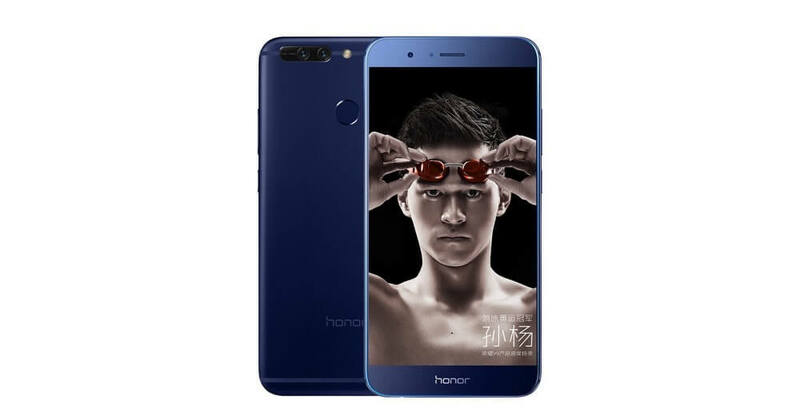 Platform wise, the Honor V9 comes with Huawei’s EMUI 5.0 which is based on Android Nougat 7.0. The big question is if this phone will come to the US. For now, and for the rest of the world outside of China, the answer is no. That could change and it could even come in as a different model but regardless, this would be a great phone to see in global markets.